We’re all on our own journey here. This is the odd situation I find myself now in. . .people think I’ve got my life together. . .they think I can help them get their lives together which is a really odious misconception. . .We all long for that to be true ~ we long to have there be somebody who has solved life. . .we dream of that. . .we come here to events like this to meet those people. I can guarantee you that every single person who you are going to be hearing speak this weekend is intimately and perhaps very recently is familiar with failure. What keeps them here is that they are pioneers of continuing on. . . 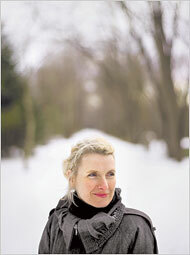 When I reflected on the movie Eat, Pray, Love this morning, I realized that Elizabeth Gilbert knew all along that she was born to travel the world and write about her journey. 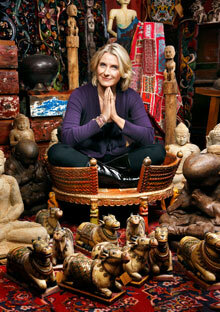 Eat, Pray, Love is essentially a spiritual and geographic travel guide. It is the 21st Century’s answer to The Wizard of Oz. A map for the rest of us. Like many of us, however, Ms. Gilbert was surrounded by people who wanted her to be somebody else. A wife. A mother. Somebody who didn’t have such a zest for packing her bag and taking off on a grand adventure. I realized that people don’t need an abusive intent or narcissistic personality disorder to be controlling. We’re all guilty of trying to repackage those we love into a shape and form that better suits our own life’s journey. We say we love somebody, but we don’t love or accept unconditionally. We too often don’t want those we love to sprout wings because we are secretly afraid they’ll fly away and not come back. There’s just this energy of the whole movie about how hard intimacy is. … How much we long for it and need it. I saw it suddenly when it was on the screen and realized: “Oh, that’s everyone’s story.” That’s where we all are in our lives, trying to figure out who we are in relationship to those around us and how we get over our greatest disappointments and try again. The universal appeal of Eat, Pray, Love is because we’ve all been disappointed or disappointing in love. Often, we’re afraid of love or we’re taking the first tentative steps to love again. It takes tremendous courage to love again after we’ve been hurt. A dilemma ~ in the classic Greek sense ~ is a problem that has two solutions which are equally awful. If there was a good alternative, our choice would be easy. Yet, we frequently must choose the path that is least worst. And, often, it takes time for issues to get resolved. Ms. Gilbert suggests we circle a date three years from now on our calendar. She guarantees our situation will have changed by then. I’m not so sure this is true, but perhaps this is why people get stuck in a deep hole ~ they can’t see a way out. In those rugged times, we long for someone to rescue us ~ to give us a magic key ~ to resolve our dilemma so we can move on. Ms. Gilbert believes we need to be our own fairy godmothers. She quotes Proust who says “our lives are journeys that nobody can take for us. Nobody can spare us.” We have to do it on our own. This is how we become empowered and gain confidence and assertiveness. The part of me who will always be seven years old immediately started trying to figure out how I could pretend that it had not been my fault. . .I knew I could not get away from it. All I had to do is be the 40 year old that I am and pick up the phone and call the organizer and tell her what I had done. This was not a delightful call for her to receive. . .on a day I’m going to guess she probably had other things that she needed to do for this event that she had been planning. Now, if you are like me, you know that the ultimate sin ~ the worst thing you could commit ~ is to put somebody out. You are not supposed to ever do that ~ not supposed to ever become a burden to somebody. But, that’s what I had become. I was extremely stressed and extremely tense. It was a tense drive [from LA to Santa Barbara]. . .we were both a little edgy. On a day like that it can be the thing that just tips you ~ you know ~ over the brink. I was brinking. I was right there on the edge. . . .to give a speech before a large number of people who had paid a considerable amount of money to come and listen to me talk about how I’d got my life together. You come to places like this, and we gather clues like on a scavenger hunt. If you are like me, you have trouble seeing life as a journey. You are more likely to see life as a series of final exams that happen every single day that count for your entire grade. That’s how I see life. If you are like that, then something like [missing a flight] is an enormous failure. We are all beautiful and brave. 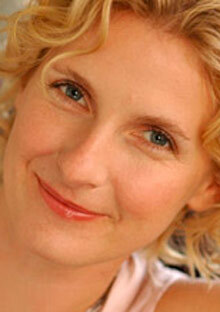 My sense is that Ms. Gilbert is a profoundly humble person still in shock over the enormous success of Eat, Pray, Love. Yet, it is that air of humility that makes for a great mystic. Mystics have a deeply resonate inner voice, and they follow their own paths. They don’t let others dictate their actions and choices. Ms. Gilbert believes we’re all trying to be mystics. Therefore, we must decide what we must do to get on our own path. Each day she strives to be the best she can be with what she has. Each day she tries to do better. She’s not often kind to herself when she falls short ~ she can be very nasty to herself ~ she beats herself up ~ particularly when she fails ~ she knows this is a bad life policy ~ mistakes will be made. She believes that if we are to move forward, we will be taking enormous risks and we will be failing. We pick ourselves up and carry on. Let’s do ourselves no harm. Let’s not do anything to damage ourselves. No self-injury. Good advice. I suspect most of us need to break the whips in our heads. Instead, we need give ourselves a hug and remind ourselves that we are beautiful and brave. If you want to watch the video of Ms. Gilbert at O Magazine’s 10th anniversary celebration, click here.